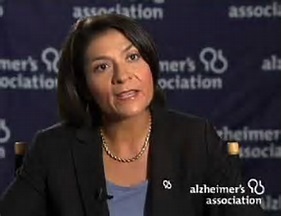 ALZHEIMER’S ASSOCIATION LAUNCHES $20 MILLION LIFESTYLE INTERVENTION TRIAL IN THE U.S. TO PREVENT COGNITIVE DECLINE !!! Brain Health Wellness > News > In the News > ALZHEIMER’S ASSOCIATION LAUNCHES $20 MILLION LIFESTYLE INTERVENTION TRIAL IN THE U.S. TO PREVENT COGNITIVE DECLINE !!! Exciting News from AAIC 2017 in London! LONDON, July 19, 2017 – The Alzheimer’s Association today announced the launch of a $20 million U.S. two-year clinical trial to test the ability of a multi-dimensional lifestyle intervention to prevent cognitive decline and dementia in 2,500 older adults with no current cognitive symptoms but who are at increased risk for later cognitive decline. The announcement was made at the 2017 Alzheimer’s Association International Conference (AAIC 2017) in London. The large U.S. study to PrOtect through a lifestyle INTErvention to Reduce risk (US POINTER) will include physical exercise, nutritional counseling and modification, cognitive and social stimulation, and improved self-management of medical conditions. Recruiting for the study will begin in 2018. At AAIC 2014, Miia Kivipelto, M.D., Ph.D., Professor at the Karolinska Institutet, Sweden and the National Institute for Health and Welfare, Helsinki, Finland, and colleagues reported on the results of the FINGER Study – the first randomized controlled trial showing that it is possible to prevent cognitive decline using a multi-domain lifestyle intervention among older at-risk individuals. The results highlighted the value of addressing multiple dementia risk factors as a strategy to protect brain health. The FINGER model is now being replicated in the United States, Europe, Singapore, and Australia – including people from a variety of geographical and cultural backgrounds. “We now can effectively prevent and treat heart disease with a combination of drugs and lifestyle. The same is true with some cancers; the same with HIV/AIDS. The same may also be true for Alzheimer’s disease and other dementias in the not too distant future,” said Maria C. Carrillo, PhD, Alzheimer’s Association Chief Science Officer. “We must test all options to treat and prevent this horrible disease. We must find the answers for the millions dying with Alzheimer’s and their families, and the tens of millions more who will become affected if we do not act now. The Alzheimer’s Association is extremely proud to launch this clinical trial with our scientific partners,” Carrillo said. Increasing age is the greatest risk factor for Alzheimer’s disease. With the aging of the global population – and the slow progress of developing and testing drug treatments – prevention is pivotal in managing the inexorable rise in global cases of Alzheimer’s and other dementias. In 2014, a large-scale two-year study in Finland in healthy older adults at increased risk of cognitive decline and dementia (the Finnish Geriatric Intervention Study to Prevent Cognitive Impairment and Disability, or FINGER Study) found that a two-year combination therapy involving physical exercise, nutrition, cognitive stimulation, and self-monitoring of heart health risk factors had a protective effect on cognitive function. These results were first reported at AAIC 2014 in Copenhagen. According to Co-Principal Investigator Laura Baker, PhD, of the Wake Forest School of Medicine, Winston-Salem, North Carolina, the U.S. study to PrOtect through a lifestyle INTErvention to Reduce risk (US POINTER) is modeled on the FINGER study. It will test whether two years of a combined intervention that includes physical exercise, nutritional counseling and modification, cognitive and social stimulation, and improved self-management of medical co-morbidities benefits cognitive function in older adults at increased risk of cognitive decline and dementia. The comparison group will receive health education and support through in-person group meetings on health- and aging-related topics, and annual feedback on laboratory tests. Starting in 2018, 2,500 study participants 60-79 years old will be identified using a medical record search to select those with medical conditions that have been linked to an increased risk for dementia (e.g., hypertension and other cardiovascular events, elevated blood sugar). Information about family history of Alzheimer’s, physical activity level, and current cognitive status and mood will be collected in follow-up interviews to further identify eligible participants. Local Alzheimer’s Association offices nationwide will participate in intervention delivery. National partnerships will be developed with community-based organizations to deliver the exercise, nutrition, social and medical aspects of the intervention. The success of the intervention will be evaluated based on two-year change in a global measure of cognitive function focused on short-term memory, attention and concentration. An update on FINGER and overviews of the Singapore (SINGER) and Australia (Maintain Your Brain) prevention studies will also be reported at AAIC 2017. The worldwide effort, collectively referred to as WW-FINGERS, supports a collaborative network of trials and experienced investigators to facilitate harmonization of research methods, and sharing of experiences and data for maximum global scientific impact.